Toddlers is a very friendly group for pre-school children, giving time and space for the children to play and the adults to catch up with ‘what's going on’. We have about fifty children on our books, most whom come regularly, giving a weekly average of about thirty. It is well supported by mums, grandmas, a couple of grandads and a few dads. The place really buzzes with activity as the children play and interact. We have a craft table where we make something different each week, a table for play-dough modelling, and a book and puzzle table. In one corner we have a toy kitchen with pots and pans and in another we have the baby corner with soft toys. Also several ride-on toys are available and a dressing up-box. There is so much to enjoy and have fun together. Refreshments, including squash for the children, are served at about 10.45am and then for the last quarter of an hour we have some action songs, finishing at about 11:30am. 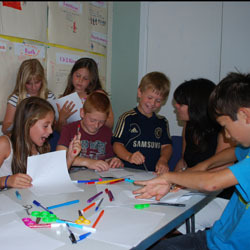 Stuff is our Friday night activity club for children aged 7 - 11. 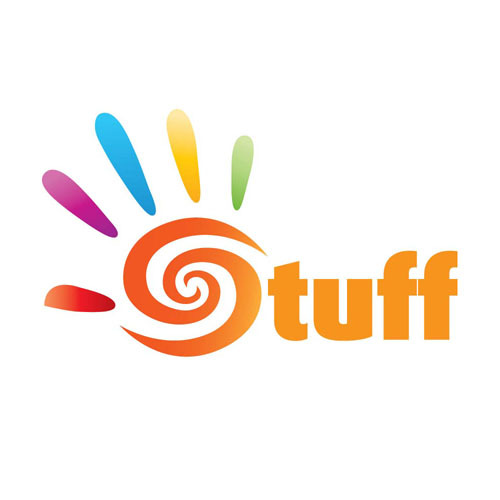 The idea behind Stuff is to offer a totally different format to the clubs run by other churches and organisations. Whereas other clubs tend to have a structured programme of activities each evening that all children are expected to join in with, Stuff has a more relaxed feel. For the first hour the children can do their own thing. They have the choice of playing table tennis, table football and board games, or they can make crafts or just chat in the chill-out area. They can also spend their pocket money in the tuck shop. At about 7:30pm we have a three minute ‘God talk’, and then we finish the evening with a group game. Junior Church aims to help primary school age children develop a relationship with God. This is done through a variety of games, quizzes, DVD’s, music and crafts interlinked with Bible stories. The children are encouraged to ask questions which helps them to see how the subject can be applied to their own lives. Sunday Funday runs on the first Sunday of each month and the children have even more time for fun and games, whilst looking at a slightly bigger Bible topic. This is a more informal session, ideal for children who are not used to coming to church. Sunday Funday runs for the duration of the main service, whilst Junior Church is approx. 45 minutes, as the children leave the main service after about 30 minutes. Bible Class takes children and young adults from 11 - 18 through the Bible, studying some Old Testament and some New Testament each year. The Bible is one continuous story, and yet a story made up of smaller stories - there's nothing else like it! Students will learn the "big picture" of the story of the Bible, in-depth knowledge of the Bible, and best of all, how to apply it to their lives. The Bible Class leave the main service at about 11:20am and runs for approx. 40 minutes.